Lexus Repair In Covina, CA | TL Motors Inc.
Lexus Repair In Covina, CAIn 1989 Lexus launched with two sedans, the LS 400 and ES 250, and a commitment to pursue perfection. A single consumer complaint launches a special service campaign, earning the brand recognition as the new standard in personalized service. TL Motors can handle any size Lexus repair. 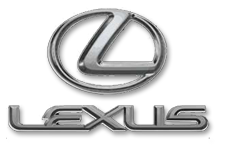 We are Lexus repair certified and your number one choice for Lexus repair in Covina California. So regardless if its a Lexus RX or a Lexus IS TL Motors will quickly get you on you way. From Lexus LX brake repair to a Lexus SC timing Belt replacement. Our Lexus repair repair and service shop is located in Covina, CA. We also proudly serve the following areas: Azusa, Baldwin Park, Duarte, Glendora , La Puente, Monrovia, San Dimas, Walnut, and West Covina. and surrounding areas. No Matter What model Lexus you drive Our Certified Lexus Mechanics can repair your vehicle to it’s original factory standards. Lexus RX, Lexus IS, Lexus GS, Lexus ES, Lexus CT Lexus SC, Lexus HS and more. Bring your Lexus to TL Motors for a quality Oil Change, Full 62 Point Inspection or Brake Repair Today!